The bold look of this putter is the first element that draws you attention to it. Also, the bright silver color helps to give it a solid overall appearance that is very useful for boosting a golfer’s confidence. Once you get it to the course, the high MOI is hard to miss as it makes this a very forgiving club while the TPU inserts give it a nice and soft feel that will make you want to swing it again and again. Other features that make this an excellent club include the traditional offset configuration, Advanced Perimeter Weighting, bi-color sightline and the putter comes with a free matching headcover. The putter also features an oversize grip, and it is 35-inches long. High MOI: This putter features a high MOI design that ensures that you always get some extra forgiveness and so with this club you can always be confident of ultra-straight putting. Style: It is a full mallet design putter that also features a traditional offset design that keeps the hands ahead of the putter so that you always make a solid contact. TPU Polymer Insert: The Soft TPU Inserts will provide a soft and nice feel on impact which can be very helpful in boosting a golfer’s confidence with every shot. Perimeter Weighting: Orlimar uses advanced perimeter weighting for this putter to ensure maximum accuracy when putting. Bi-Color Sightline: The bi-color sightline on this putter helps with the alignment by improving the vision to the target. Headcover: You will not need to spend any extra cash on a headcover because the Tangent T1 comes with a matching one. The high MOI design provides extra forgiveness. It features an upset hosel that keeps the hand ahead of the putter for an upward shot. The contrasting bi-color sightline makes alignment easier. Orlimar uses TPU inserts on the face to provide a nice and soft feel on impact. It is long enough even for taller than average golfers. This putter feels well-balanced and easy to swing even for beginners. You also get a free cover for the head. The silver paint tends to chip easily. It has a larger grip than average, and it takes a lot of time to get used to it. The headcover is helpful, but the quality is not the best. Orlimar might not be a very famous brand when it comes to the manufacture of putters, but their products are still as good as what you get from the top brands. 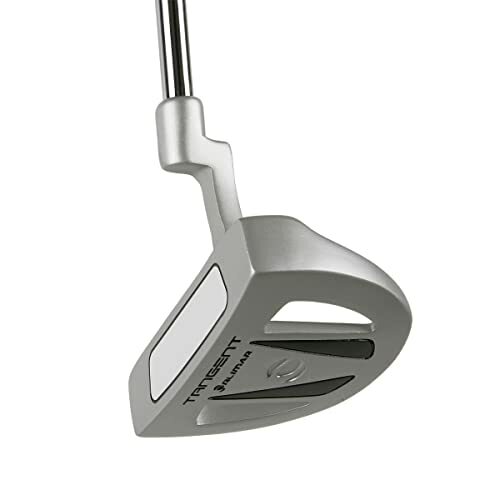 Their Tangent T1 men’s putter is a beautiful club that performs as good as it looks. 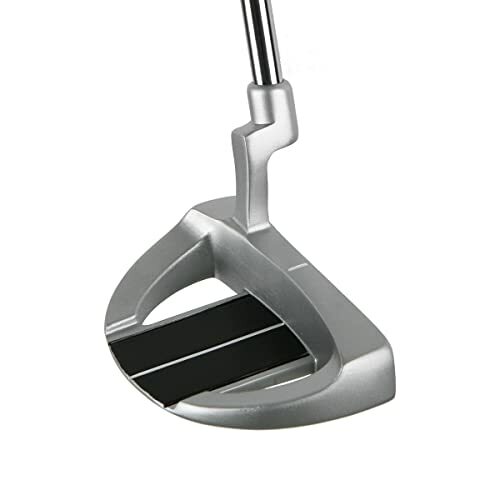 It is also a very affordable putter despite the impressive quality. The most outstanding features of this club are the high MOI and upset hosel, but it also has many other excellent elements like the bicolor sightline that aids with the alignment. But, like with any other golf putter, it has a few shortcomings like the silver paint chipping off quickly. However, it is still a top notch and affordable club that is worth buying and trying out for both beginners and the pros.